Gourmet cooking and coffee fusion with Valentina Chiaramonte and Domenico Cosentino. We went back into the kitchen of Fud Off, in via Santa Filomena in Catania. 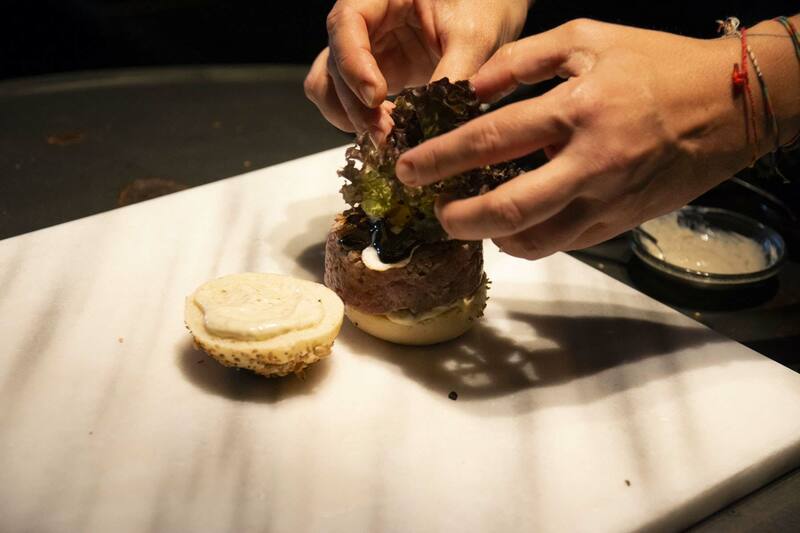 The challenge remains also unchanged: creating unusual combinations with four hands by matching a gourmet burger with a coffee drink. It goes without saying – Valentina Chiaramonte‘s creativity and Domenico Cosentino’s skills left us once again far from “Off”. 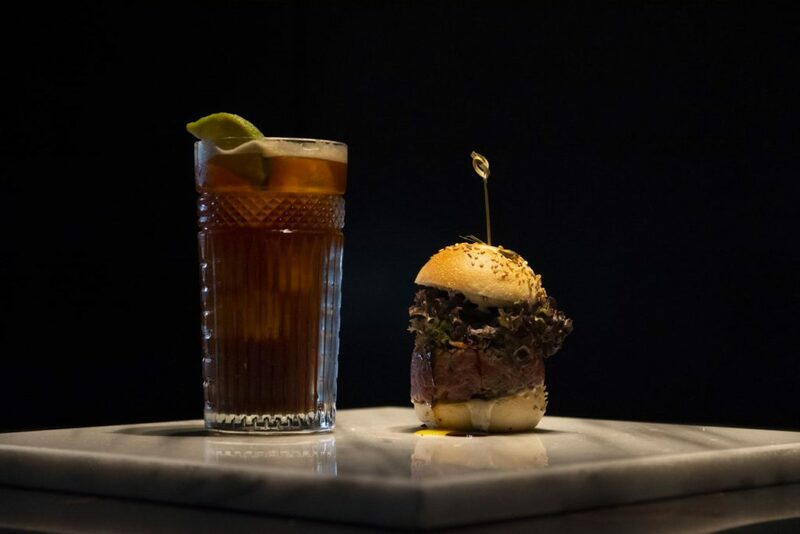 Here’s the details of the fassona burger with chinotto flavoured espresso tonic. 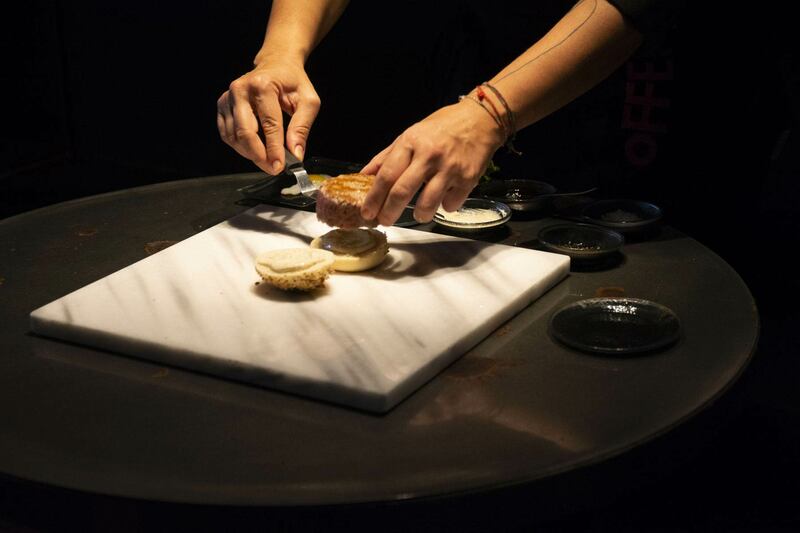 First of all, prepare the hamburger: spice the fassona meat tartare with olive oil, anchovy (previously opened with a fork), green lemon zest (peel), salt and pepper to taste. Form a hamburger with a food ring mould. Sear on a red-hot grill on either side for around 30 seconds. 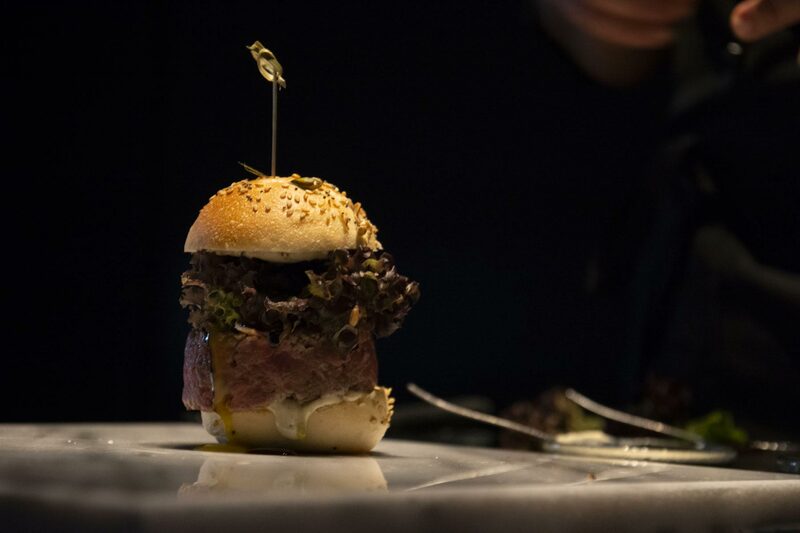 Flavour the bun with mayonnaise and Salina capers and the put everything together: first the fassona hamburger (picture 2), then the fried quail egg (picture 3), some oak leaf and finally mayonnaise and capers (picture 4). 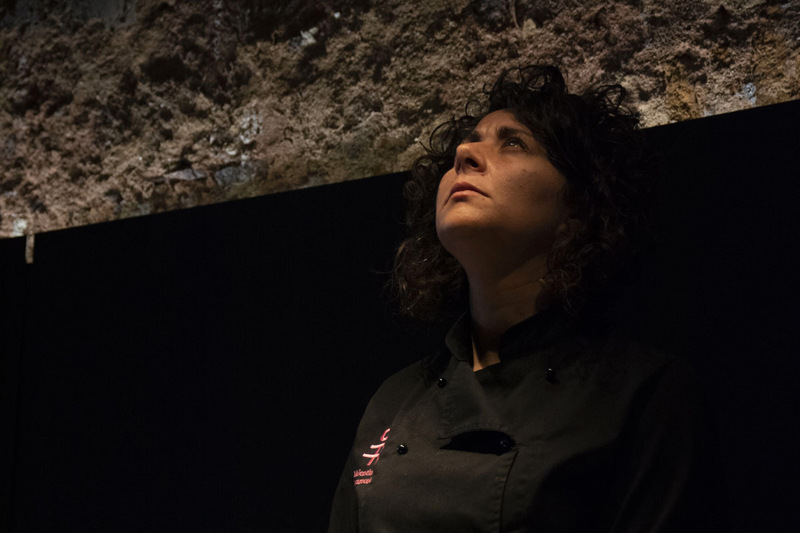 Valentina Chiaramonte, palermitana doc, native from Palermo, is an ironic and intriguing cook. 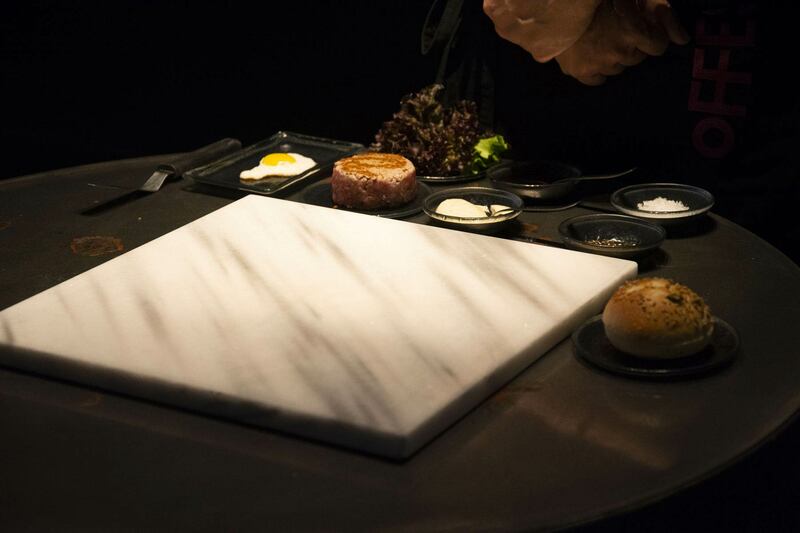 With the dishes she prepares, she is able to tell a lot about herself and her region, about her past experiences and culinary passions. 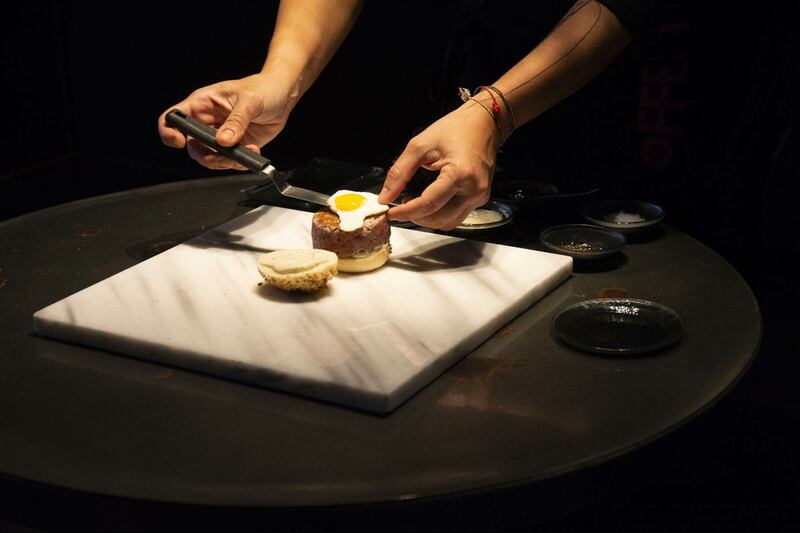 The result is a new cuisine that with simplicity and frankness aims at delicious pleasures free from boundaries and limits..
Domenico Cosentino, bar manager of Fud off, has been standing behind the counter for more than twenty years, and gained experience also overseas. 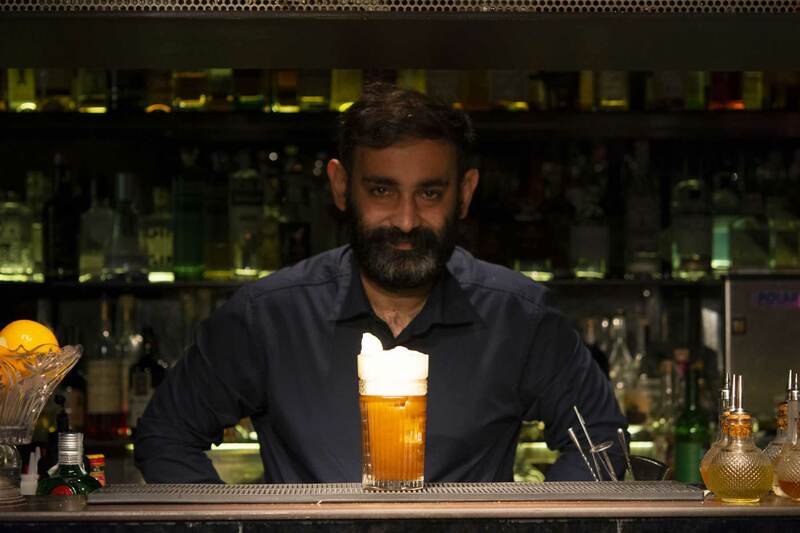 He loves reinterpreting classical cocktails with a Sicilian touch and always searches for the excellences of the island to give his cocktails a Sicilian soul and character. Posted in Food and tagged caffè moak, espresso tonic, fud off, moak people, the sign moak, valentina chiaramonte. Bookmark the permalink.